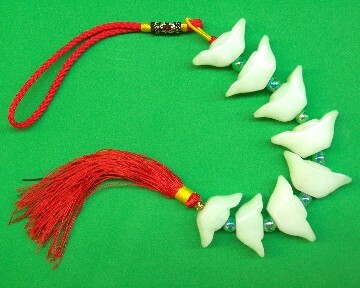 8 Jade ingots with red tassels are used to activate 8 white flying star. The 8 white flying star is good star in charge of wealth. In 2014, hang such 8-jade ingots in South to activate the flying star #8 in order to enhance wealthy luck.